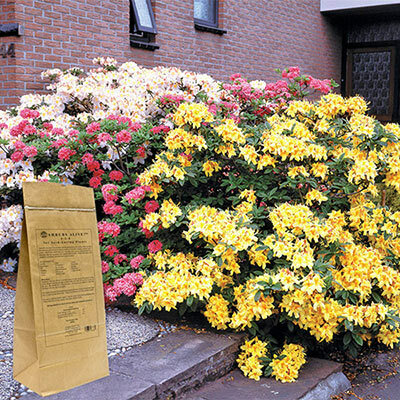 Home » Tools and Décor » Fertilizers » Shrubs Alive!™ for Trees & Shrubs 5 lb. 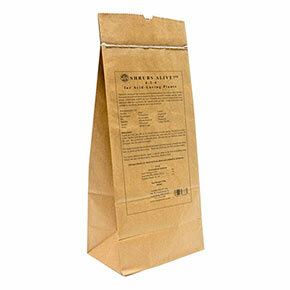 Shrubs Alive!™ for Trees & Shrubs 5 lb. We have partnered with the best all-natural fertilizer company in the business, Gardens Alive!, to bring you a specially formulated Tree and Shrub food. This fertilizer, developed in the Gardens Alive! research garden, feeds the soil to create healthy trees and shrubs that will grow quicker. Shrubs Alive! promotes micro-organisms in the soil, which in turn make better quality soil, with more nutrients and water available to your shrubs and trees. It's enhanced by Total Minerals, a natural mineral source, and it's so easy to use. Just apply the granular formula twice during the growing season. Perfect for both new and established shrubs and trees. Covers 200 sq. ft.